Free Pilates Ormeau Physio Come try for free. At Ormeau Physio one size does not fit all! Come down and try out the machines in one of our free classes. Physios will be on hand to help you get comfortable before starting. 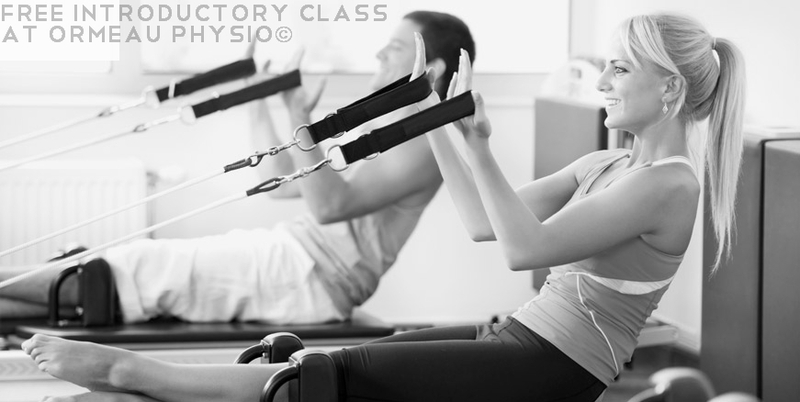 Our sessions are run by qualified physiotherapists with additional accreditation in pilates instruction. Take your pilates training to the next level by physios who understand you anatomically. Yes, we use the latest generation of pilates reformer machines to accommodate beginner to advanced levels. Booking into an pilates session is essential as there will be a maximum of 6 participants at each session, ensuring you receive plenty of instruction and care.